Put healing in good hands – YOUR OWN! Get in touch with your body’s natural healing abilities as you learn the basics of Eden Energy Medicine. Energy Medicine brings balance and renewal to the body’s energies which in turn promote physical, mental and emotional well-being. Dr. Donna Panucci teaches the basics of Energy Medicine and how to use simple, effective methods to improve your overall health and increase your energy. The 5-minute Daily Energy Routine is brilliantly designed to harmonize your energies for renewed health and wellness. 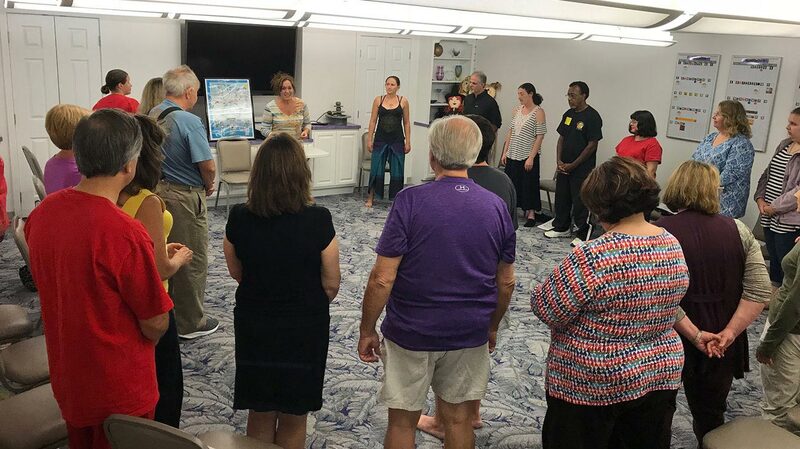 Dr. Panucci focuses on stress reduction techniques throughout her Energy Medicine workshop series. According to Stanford, Harvard, Mayo Clinic and the CDC, stress plays a significant role in the manifestation of 95% of all illness and disease. Many simple yet very effective techniques are available to reduce stress and strengthen the immune system. Join us to enhance your knowledge and shift your energetic patterns to combat stress and improve your overall health. In energy medicine, energy is the medicine, and energy is also the patient. Energy Medicine is both a complement to other approaches to medical care and a complete system for self-care and self-help. It can address physical illness and emotional or mental disorders, and can also promote high-level wellness and peak performance.